Youth Ski and Snowboard Clothing! 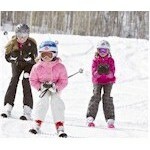 Enjoy skiing with your family even more this winter with great quality clothing for your little one. With good quality products there is no more worrying that your child will get cold or wet out on the slopes. Whether you are spring skiing or out in the middle of a snowstorm we have the gear to keep your child warm! Pick from one of our many different types of ski and snowboard jackets, pants and base layers that we offer.